Rheumatoid arthritis (RA) risk is higher among women with post-traumatic stress disorder (PTSD), according to research. PTSD is a condition resulting from a stressful or traumatic experience and is characterized by intrusive memories of the event, increased arousal, avoidance of experiences associated with the traumatic event, and loss of interest in activities and relationships. To uncover the association between PTSD and rheumatoid arthritis and the role of smoking, researchers looked at 49,693 women enrolled in the Nurses’ Health Study II. Participants completed questionnaires about lifestyle, health practices, and other conditions at baseline and then every two years throughout the course of the study. Study participants completed the Brief Trauma Questionnaire and a PTSD screener to identify whether and when trauma and PTSD symptoms may have occurred. Participants did not have rheumatoid arthritis or lupus. Smoking prevalence was higher among women with PTSD symptoms. The more symptoms a woman experienced the more she smoked. The results of the study also showed the correlation between the experienced symptoms of PTSD and the risk for rheumatoid arthritis. 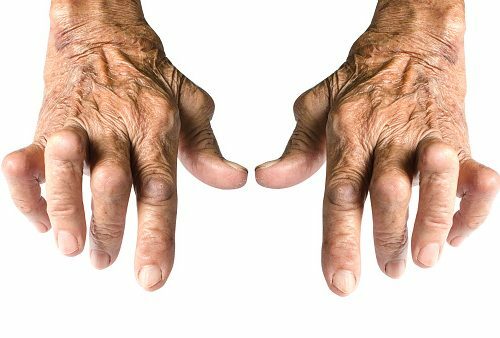 When smoking was factored in, the risk of rheumatoid arthritis in PTSD was even greater. In an alternative study that explored rheumatoid arthritis and PTSD, the researchers found that PTSD aggravates the condition. The researchers looked at RA disease activity along with PTSD in U.S. veterans. The researchers found that 11.7 percent of patients had PTSD and 23.7 percent had another anxiety or depressive disorder. Compared to those without a psychiatric disorder, having PTSD was associated with higher scores of self-reported pain, physical impairment, tender joint count, and worse overall well-being.